The Elite 4 is a powdercoated Deluxe 4. 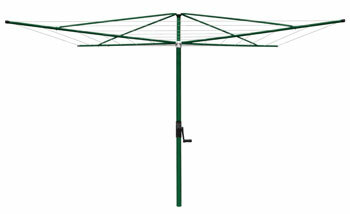 The Elite offers all the traditional features of a galvanized rotary in a gloss Heritage Green finish. The Elite has 6 lines offering 40.4m of line space. Outer line length: 2.82m long.